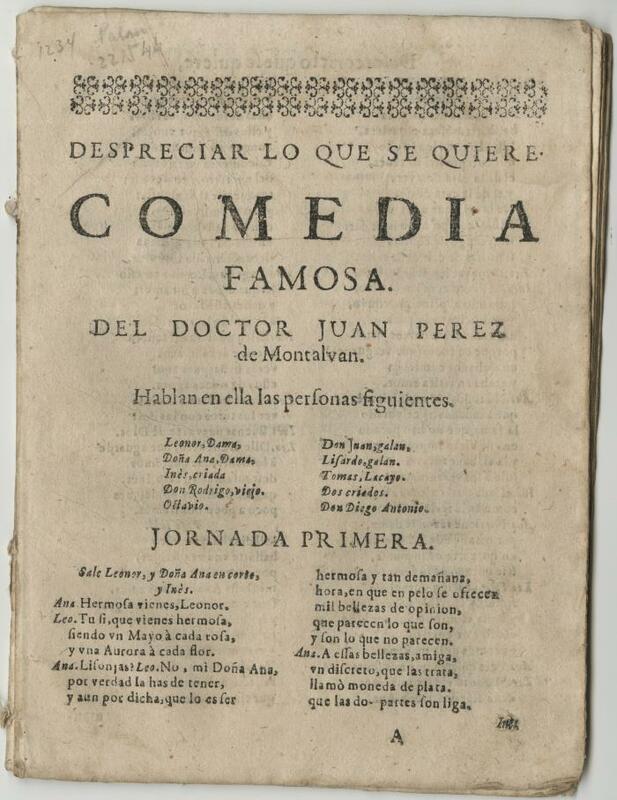 del doctor Juan Perez de Montalvan. [S.l. : s.n., between 1760 and 1770]. Annotations on title page: "1234" and "Palm 221544" in pencil, upper left corner. ;First gathering detached, the rest loose. ;Small tear to D2; stained from damp.